Have you ever had trouble knowing at what size to print your photographs? Maybe you’re a beginning photographer, or you’ve taken a really great shot and want to print some of your work for friends and family. Knowing exactly how to size your printed photographs can be tough, and so can the daunting task of finding some appropriate photo frames. This week, we thought we’d share industry standard photo size and how to get the most out of displaying your photography. The standard photo size for displaying photos on your desk, table or counter space. 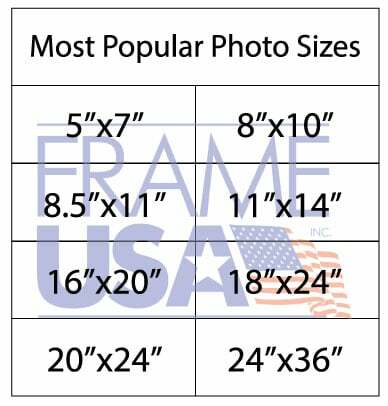 These are popular photograph sizes for children’s photos and building a frame collage on your wall. When you order these from us, we attach an easel to the backing for ease in making them stand on any surface in your home or office. In addition to all of the above points, they are also the most affordable. You can pick these up for relatively cheap, insert your photos or art prints, and sell them for a good profit. Your audience will be best suited to families with younger children and newlyweds, so if you’re a portrait photographer, these are some great frames to stock up on. Two of the most popular photo sizes in both photography and framing alike, you can’t go wrong by having a stash of these sizes. Great photograph sizes to start with, these are perfect for either wall mounting or for standing display on a flat surface. Much like the smaller photo sizes, these are great for portrait and family photography. It is a popular choice for mantelpieces, photo walls, staircases and for standing on end tables. When you buy from us, we typically include an easel backing for standing purpose. Luckily, they’re also easy to hang! We use 8×10 and 8.5×11 frame sizes on our retail wall for customers to use as reference to their art. The standard photo sizes for most musician venues and unofficially dubbed the “mini-poster”, these are probably the best photograph sizes to take when you’re looking to print something to be mounted on the wall as art. 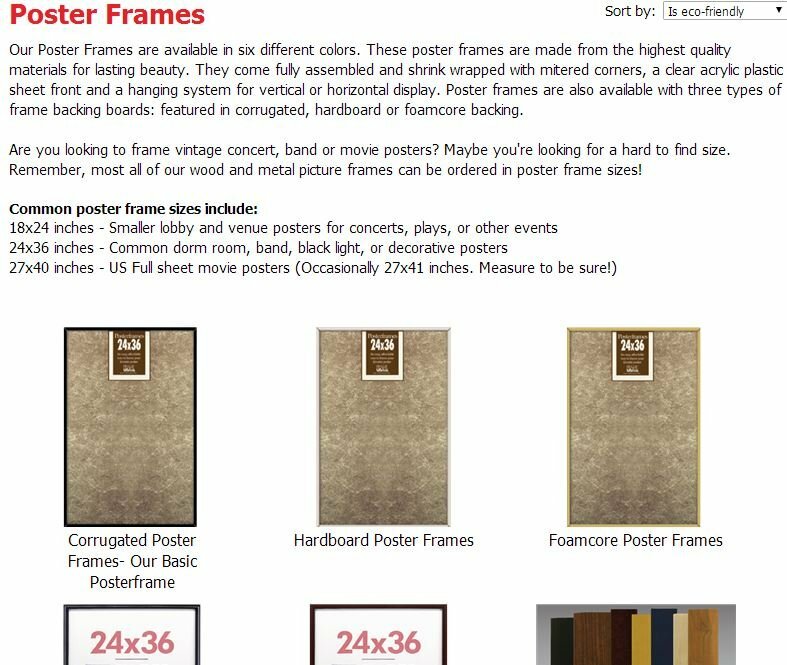 The 11×17 and 11×14 sizes are standard for posters that need to be downsized into a smaller form. Should you be planning to sell bulk prints of your work online or at a convention space, this size will the the perfect way to sell your photographs. Not too big and not too small– if you’re advertising for anything in a creative setting, these two sizes will draw far more attention than a smaller size, so be sure to use these to your advantage! Some great frames in this size would be our Architect and Corporate series. We also offer great poster and photo frames to showcase your work. These will fit your photo print sizes. Which sizes are the best for your line of work? Leave a comment below, we’d love to hear what your line of work is and how you maximize your return from sizing your picture frames correctly. Let us know what you think when you use one of our standard photo size frames. Posterservice – Your Place For Posters! I try to create my art or print my photo images to sizes that fit standard sized mats, not frames. Mats serve 2 purposes. One is to add an extra space around an image, in a coordinating color or perhaps in black or white, which serves a decorative purpose. The second purpose to to keep your art or photo from touching the glass or other glazing medium. If you live in a humid climate, tiny bits of condensation can collect on the inside of the glass and that can cause images to stick to the glass unless you have a small buffer space that a mat provides. Images can even stick to glass in an arid environment. Most mat opening sizes are listed for the size of the art or image, For example, an 11X14 opening is usually 1/2″ smaller in each direction, allowing the mat to cover 1/4″ on each side. So I would print a photo to 11 X14 on a larger piece of photo paper, so I have more room to attach it than just the 1/4″ that will be hidden under a mat. Another thing to keep in mind, if you are adding a signature, either digitally or by hand. Don’t add your signature too close to the edge of a print. First you have to allow for the 1/4″ on each edge that will be under the mat, and secondly you want to leave a little extra space so the signature isn’t at the very edge of the viewable part of your image. If I were adding a signature in the lower right, I would recommend 1/2″ inch from both the bottom and right edges, at the very least, possible more on larger images. See what looks good to you, depending on how large you make your signature and how large your print is. Great advice, CJ! We see a lot of customers either pre-planning their work for standard sizes, or planning them for mat sizes as you said. Keeping in mind to fit the mat opening, you can then decide on basically any size of frame you would like. A lot of artists in Cincinnati (our retail location) have also opted for using standard sizes (“ready-mades”) with their art instead of ordering custom frames, simply because custom is far more costly when you factor in labor, custom cutting and extra matting. 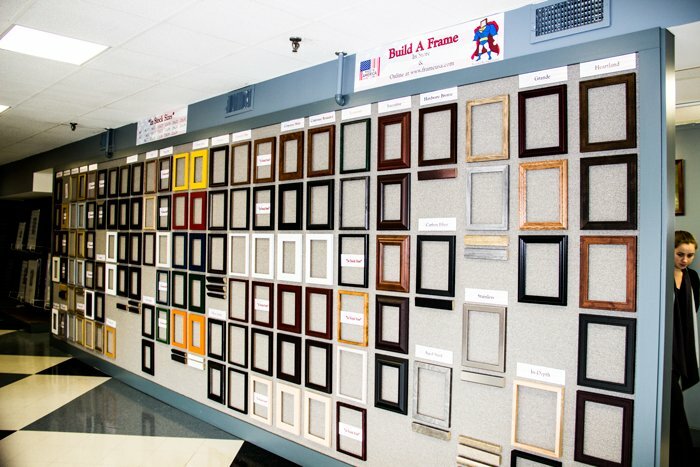 There are plenty of ways, such as the “do it yourself” method you described, to save money and frame smarter! Come back and check us out. you will be a great author.I will always bookmark your blog and will eventually come back someday. Is there a way to keep the surface of a framed photo off of the glass, without using a mat? If you choose a shadow box frame (http://www.frameusa.com/shadow-box-frames) these are deeper than standard frames. If you use one of our Shadow Box Frames (http://www.frameusa.com/shadow-box-frames) these are deeper than standard picture frames so they will help keep your image and glass separate. I was searching information to add to my website in order to offer prints of my works and some suggestions so my customers know what to order and what to do after. I found yours. I really liked it. May I add your link or name? Thanks. Yes you can add our link & name.